Here's the latest release from one of my clients who has written a book and created a video series on Dealing with Illegal Immigration, the Opioid Crisis, and the Death Penalty. Four videos in a new 8-part video series looks at whether the use of the death penalty for drug dealers in other countries would work in the U.S. to cut down on drug use and overdose deaths. The video series has just been released by Paul Brakke, the publisher of American Leadership Books, a company specializing in books about the criminal justice system and American society. The series was inspired by a dozen blogs on these issues which turned into the book: DEALING WITH CRIME BY ILLEGAL IMMIGRANTS AND THE OPIOID CRISIS: What to Do about the Two Big Social and Criminal Justice Issues of Today. 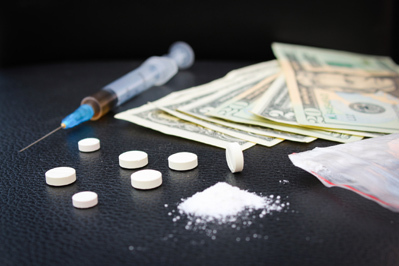 - some proposed ways that the policies might be applied in the U.S., such as a death penalty sentence where ample evidence shows a drug dealer's high level of involvement in drug trafficking. - some reasons why imposing the death penalty on drug dealers would be difficult in the U.S.
More specifically, following are the titles and links for the second four videos in the series. As previous noted, this very important series summarizes the main issues involved in today's big controversy over the best approaches to deal with this opioid crisis, drug dealers, and the death penalty in the U.S. The information in the series is presented in a highly engaging 2-3 minute video format. For more details, individuals can look at the book: DEALING WITH CRIME BY ILLEGAL IMMIGRANTS AND THE OPIOID CRISIS: What to Do about the Two Big Social and Criminal Justice Issues of Today. This book provides extensive research and supporting data that back up all of the discussion of these issues in the video. For more information and to arrange for interviews and speaking engagements, contact Paul Brakke through American Leadership Books.